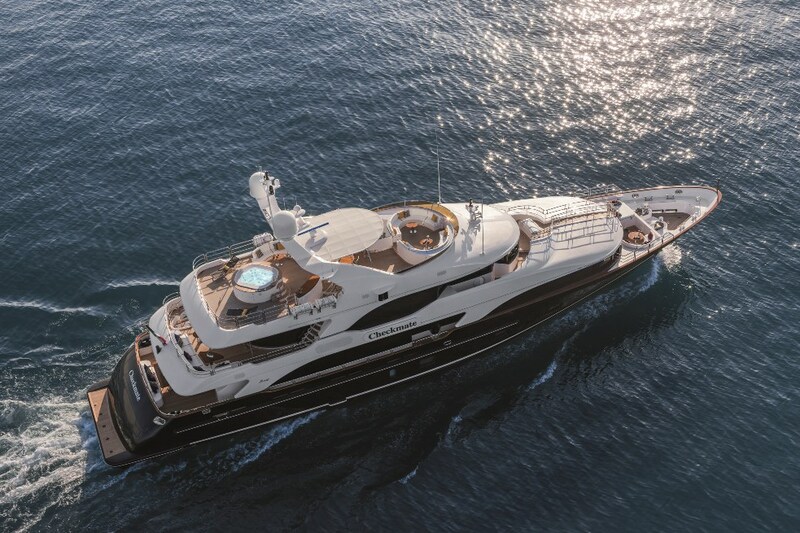 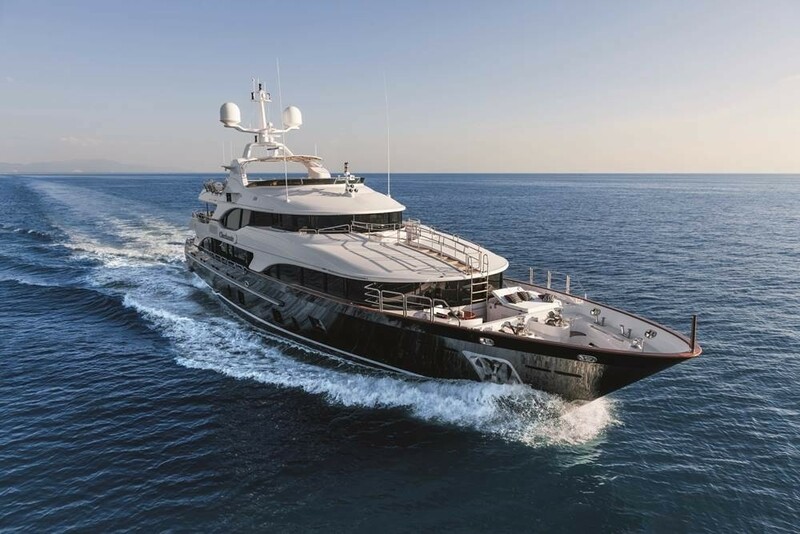 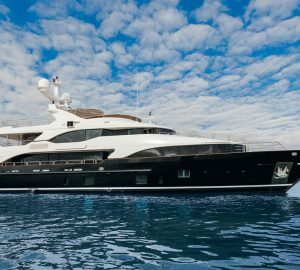 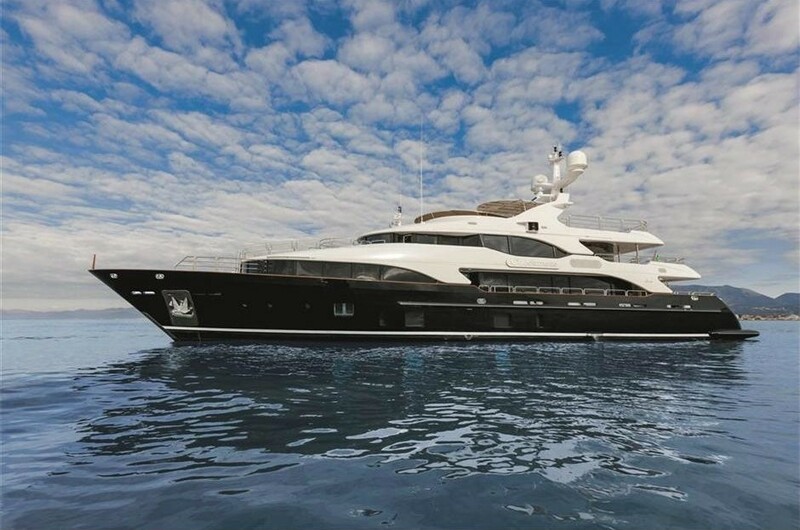 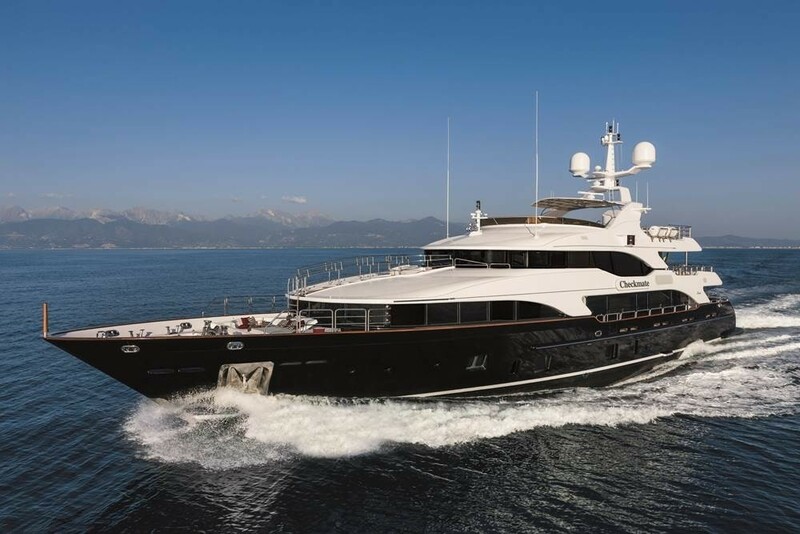 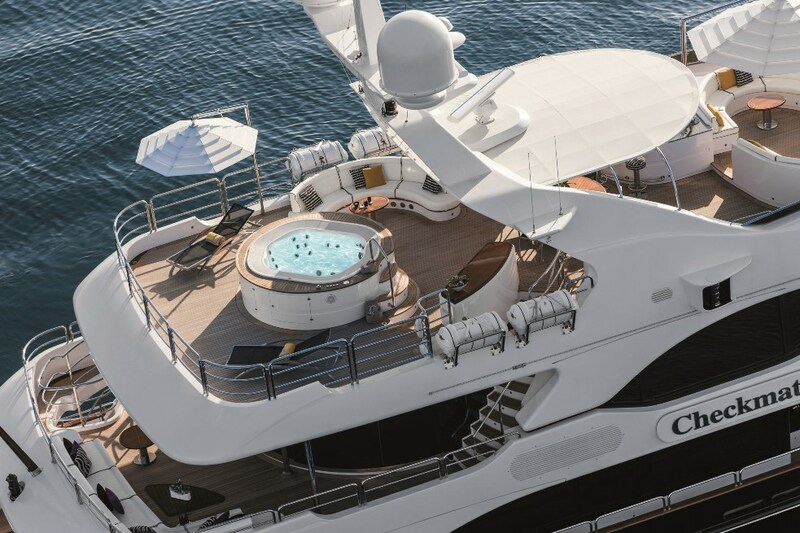 Measuring 44 meters in length overall, the luxury motor yacht CHECKMATE, also known as hull BV018, is a splendid Benetti Vision 145' vessel, launched by the prestigious Italian shipyard Benetti in 2012. 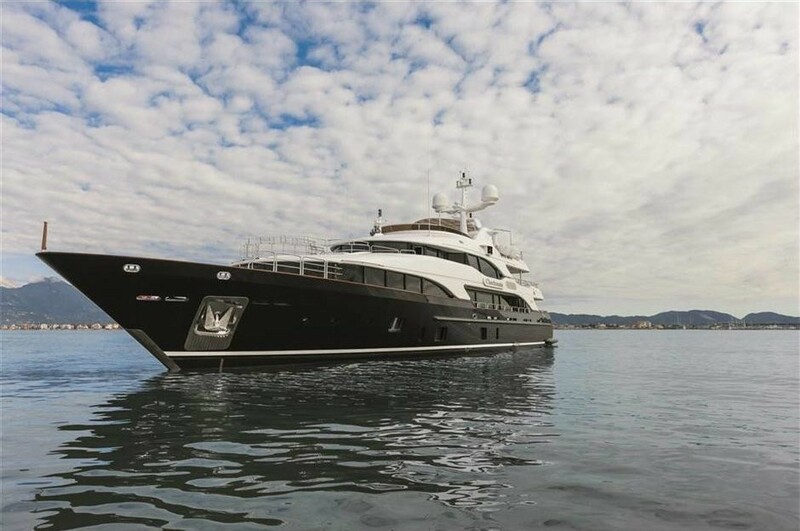 Featuring imposing yet streamlined profile, the elegant CHECKMATE superyacht boasts a sophisticated exterior by Stefano Righini, while her beautiful interior is by Francois Zuretti. 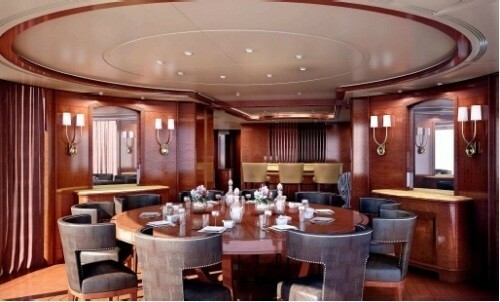 She is able to accommodate 12 guests in 5 ensuite cabins. 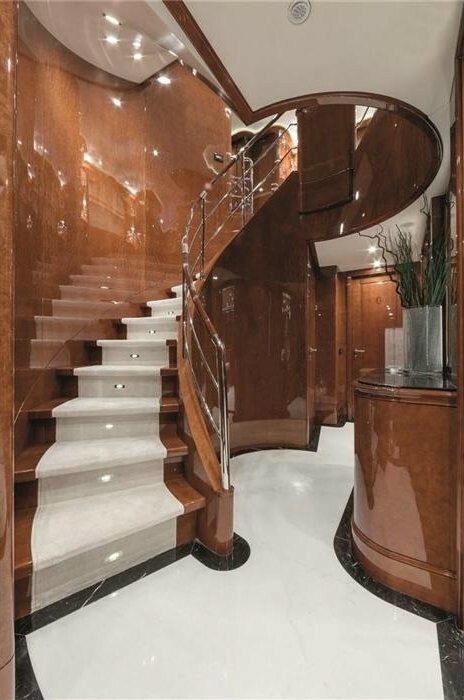 The Benetti Vision 145' charter yacht CHECKMATE provides both rich and sober interiors, with an amazing selection of cherry and Burr Madrona woods, and neoclassical dark inlays enhanced by marble. 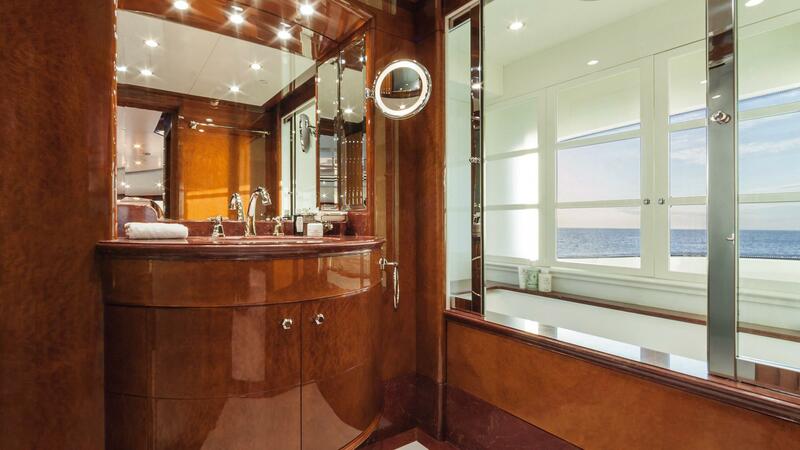 She offers luxurious accommodation for 10 to 12 guests in 5 ensuite cabins. 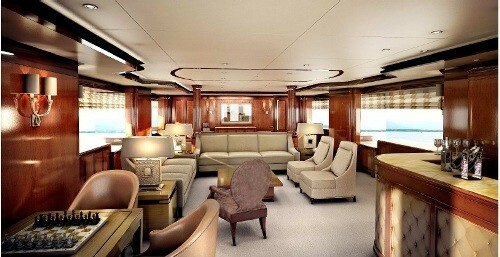 One of the features is the incredible amount of light available in the cabins. 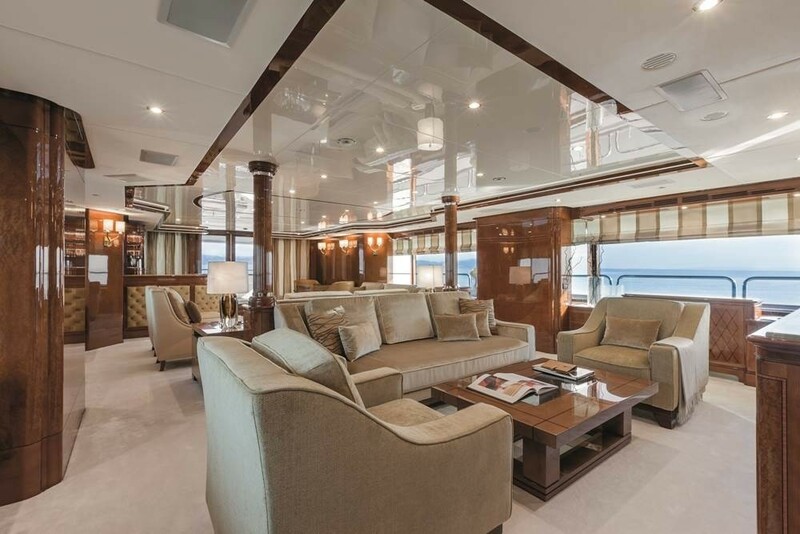 The main deck Master Suite offers incredible 180-degree panoramic views and the lower deck guest accommodation has massive windows to enjoy the beautiful scenery while underway or at anchor. Benetti have added further creative design features to this Benetti Vision CHECKMATE to ensure excellent functionality. 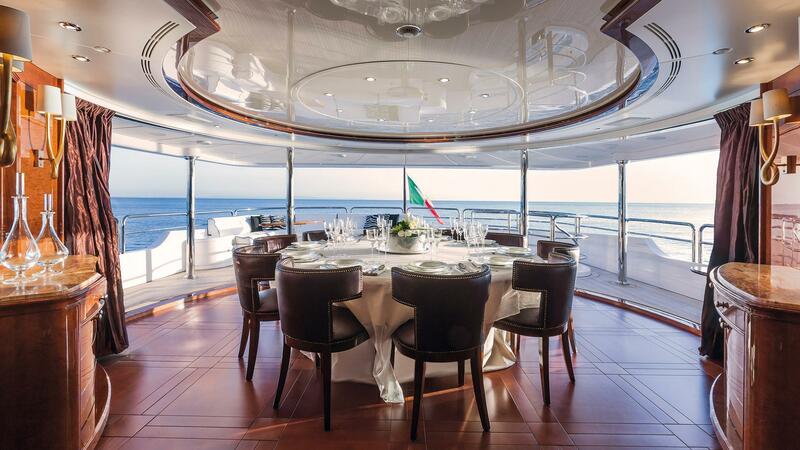 These include sliding aft doors on the bridge deck lounge which retract to create an incredible 270 degree alfresco dining experience. 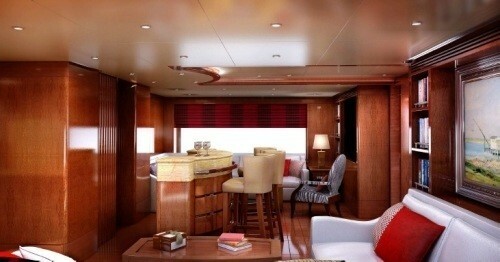 Toys as stowed in the lazarette so all available space on the sundeck can be utilized. 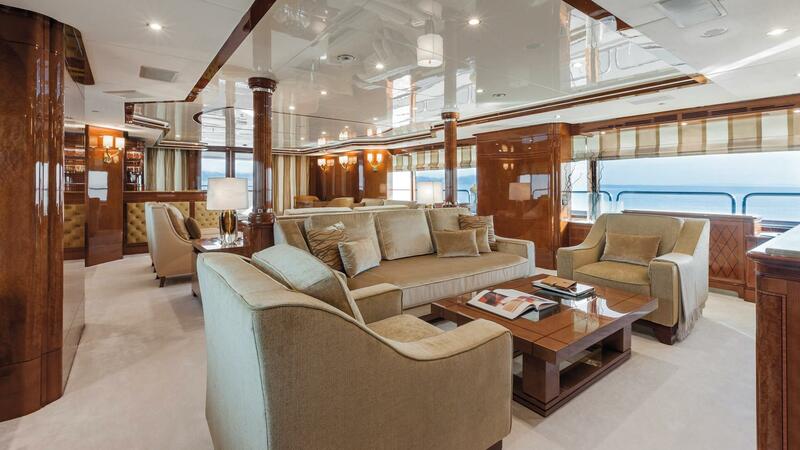 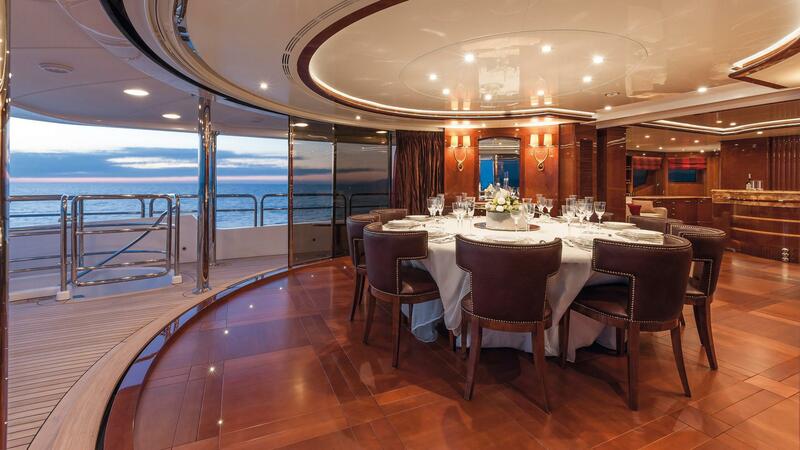 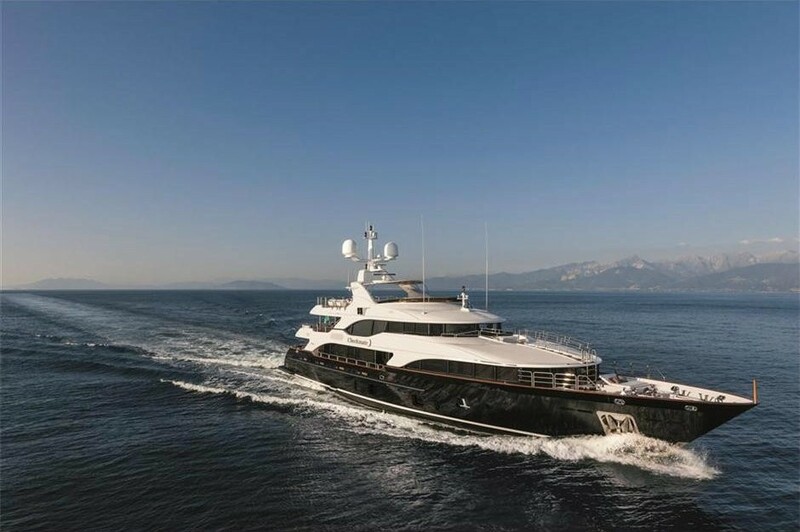 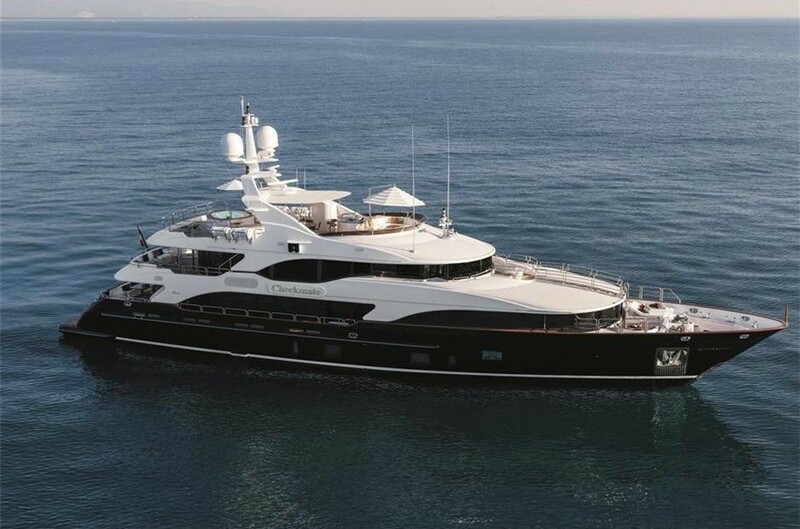 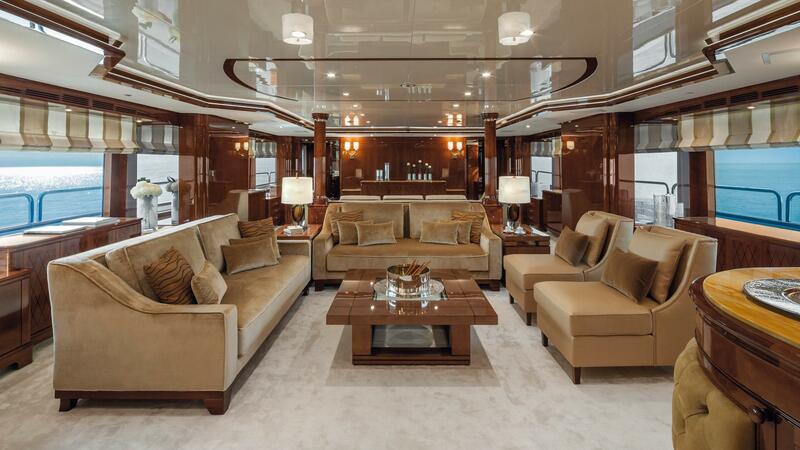 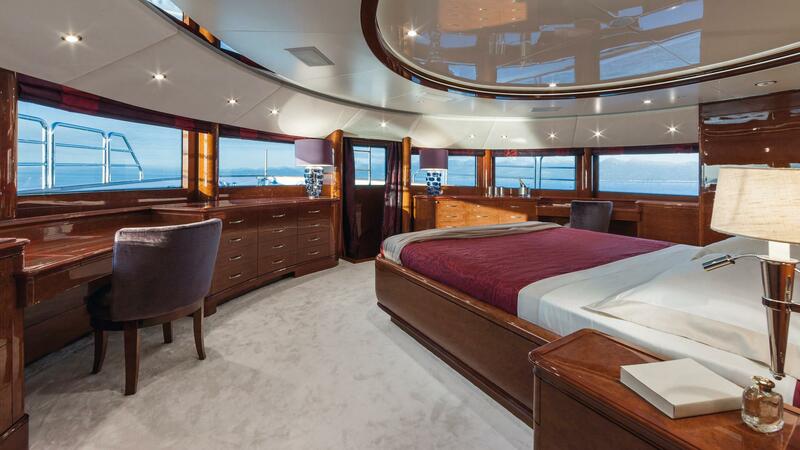 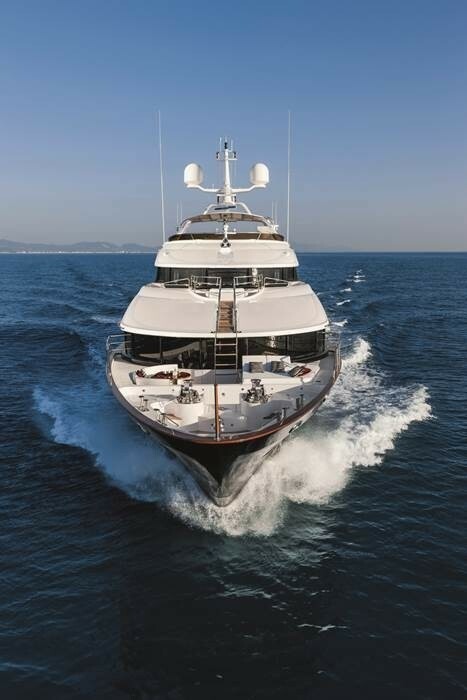 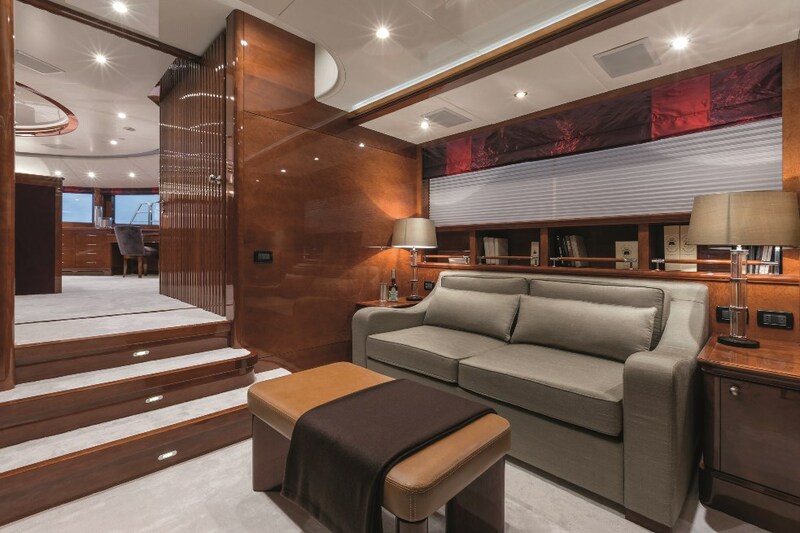 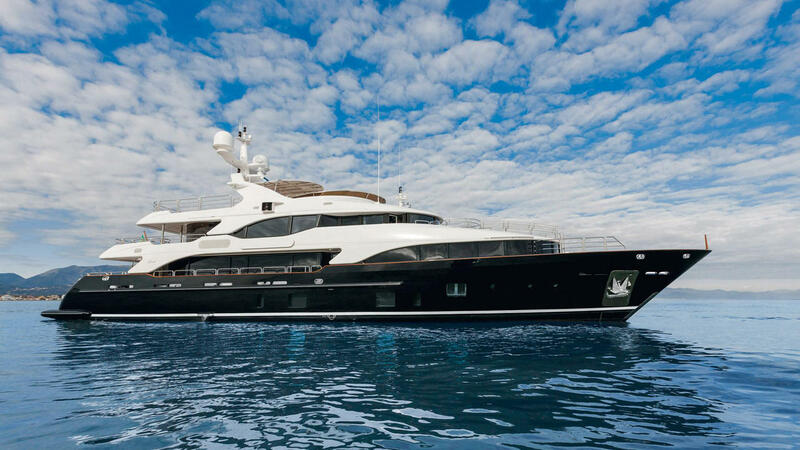 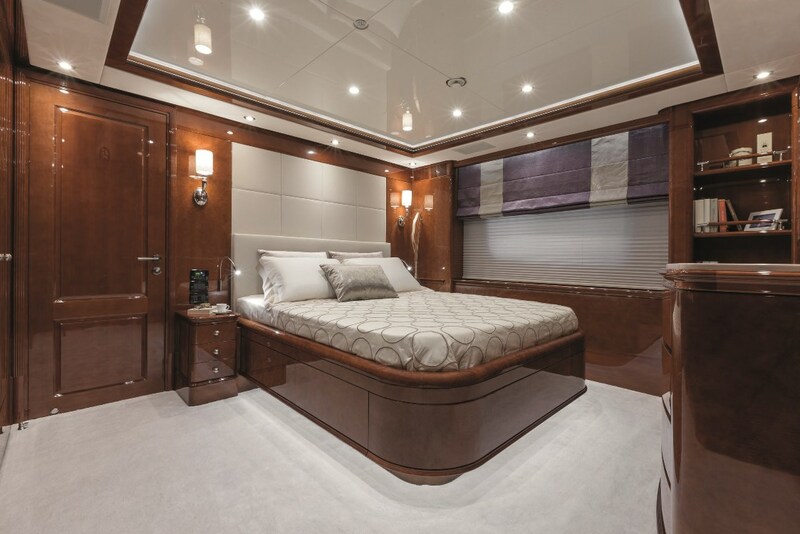 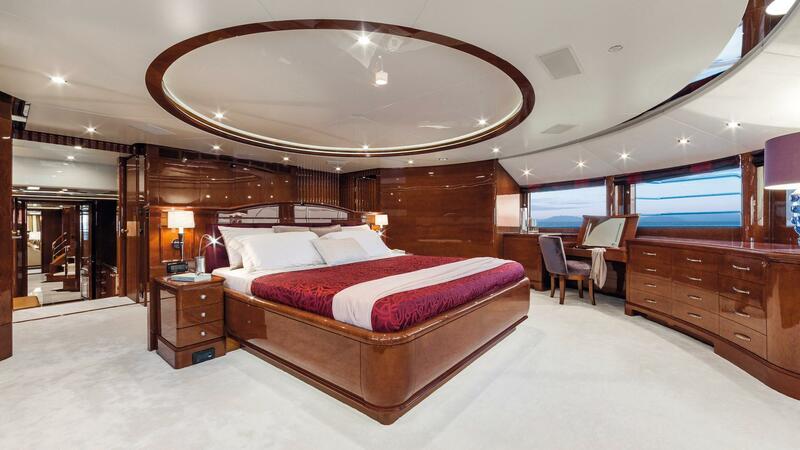 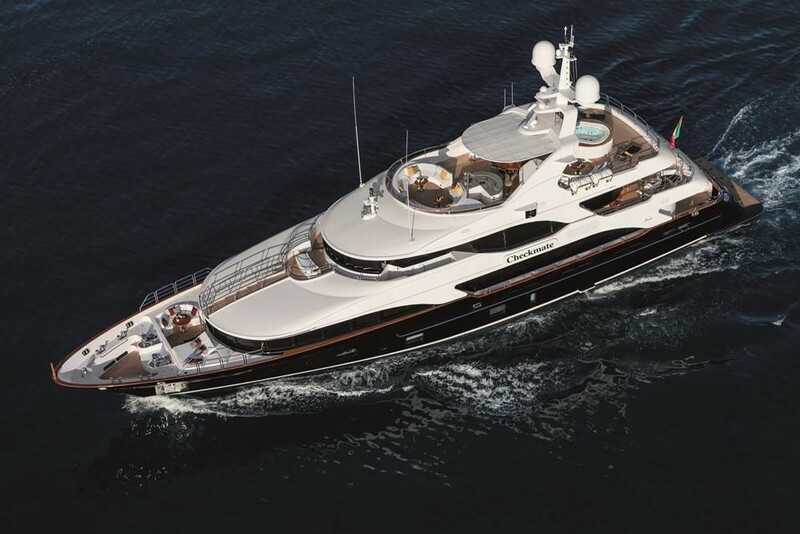 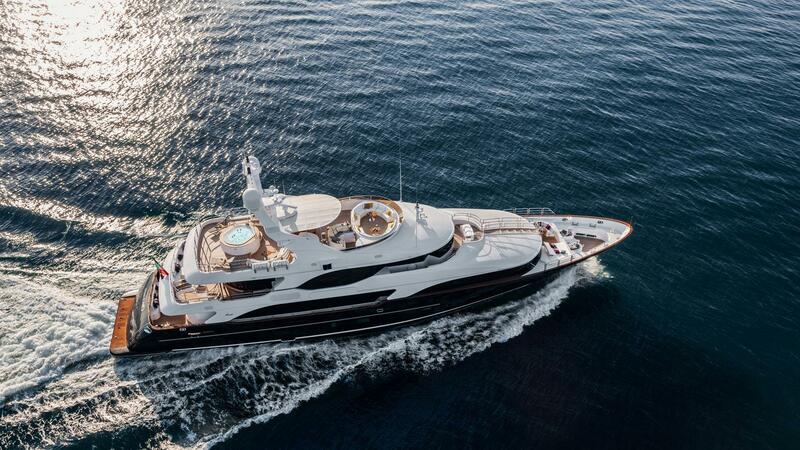 Unlike many yachts of this size, this yacht is fitted with a day head on this upper deck. 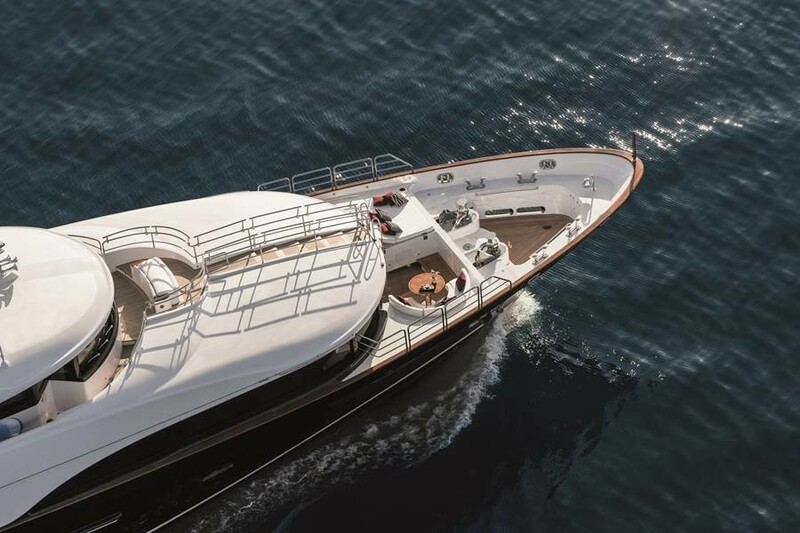 Built in composite, the 44m luxury yacht CHECKMATE (hull BV018) is fitted with twin 1,300 HP Caterpillar engines, enabling her to achieve a maximum speed of 15 knots and a cruising range of over 3,500 nautical miles, with a cruising speed of 14 knots. 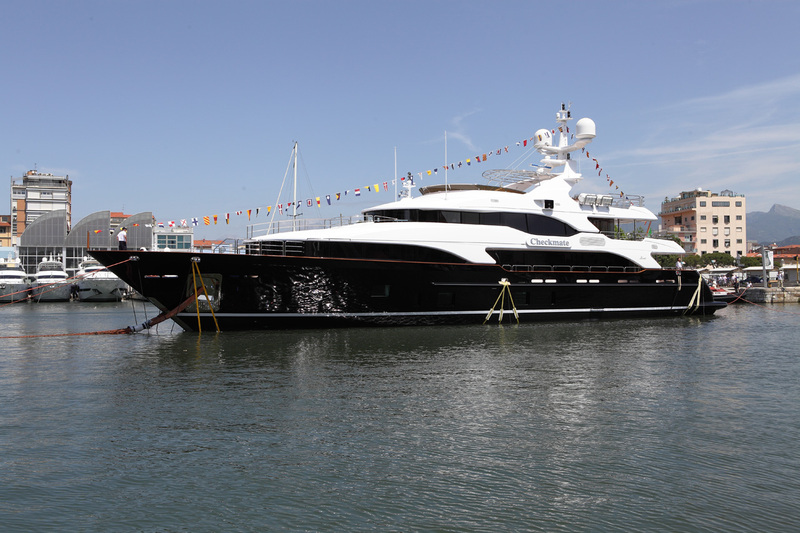 Her maximum beam is of 9.26m and her maximum draft is of 2.72m. 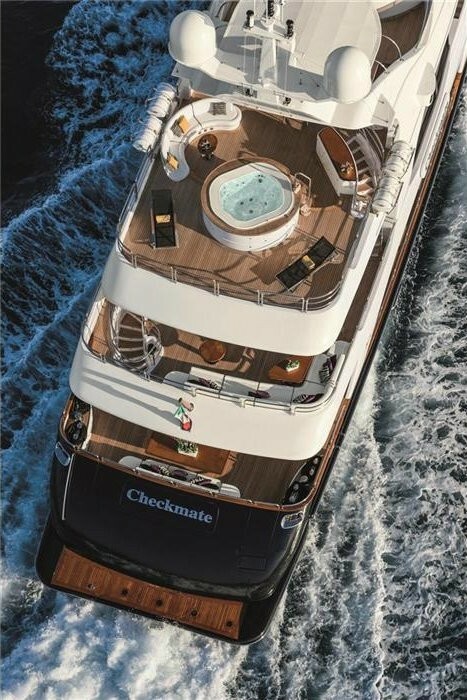 Checkmate is ABS Malta Cross A1 Yacht and LY2 classed. 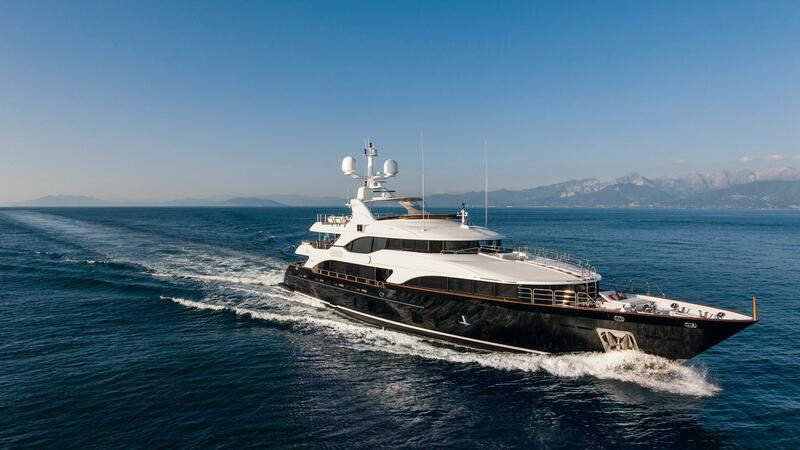 With zero speed stabilizers, an abundance of entertainment and relaxation areas and an attentive crew of 9. 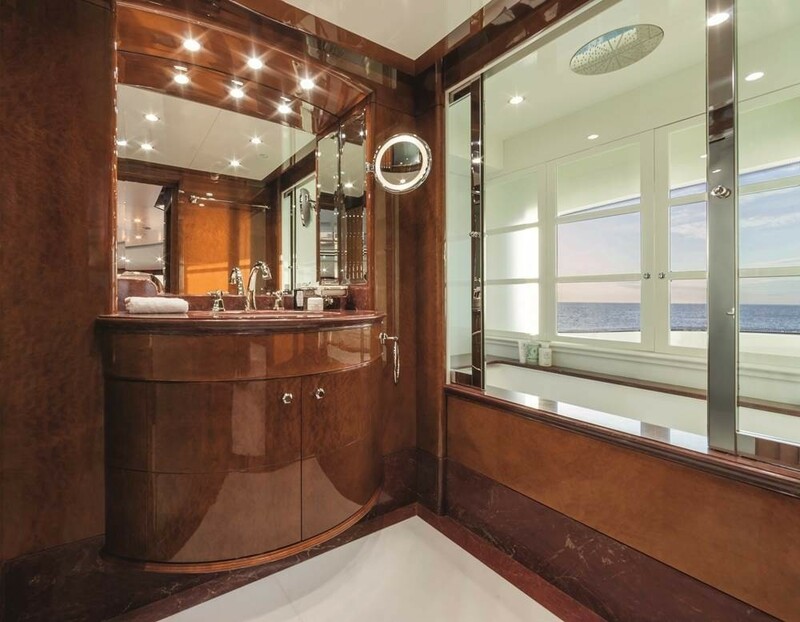 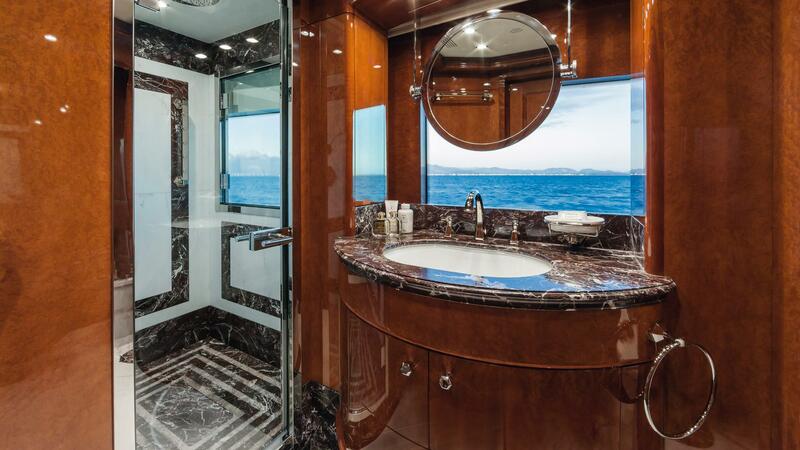 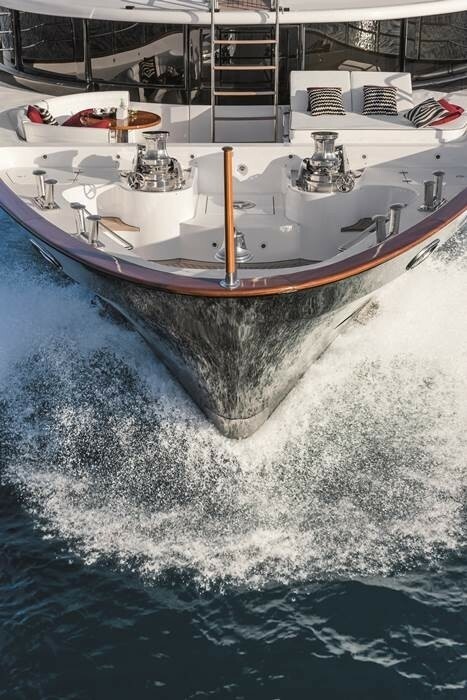 The 44m luxury yacht Checkmate provides both rich as well as sober interiors, with a spectacular choice of cherry and Burr Madrona woods, and neoclassical dark inlays enhanced by marble. 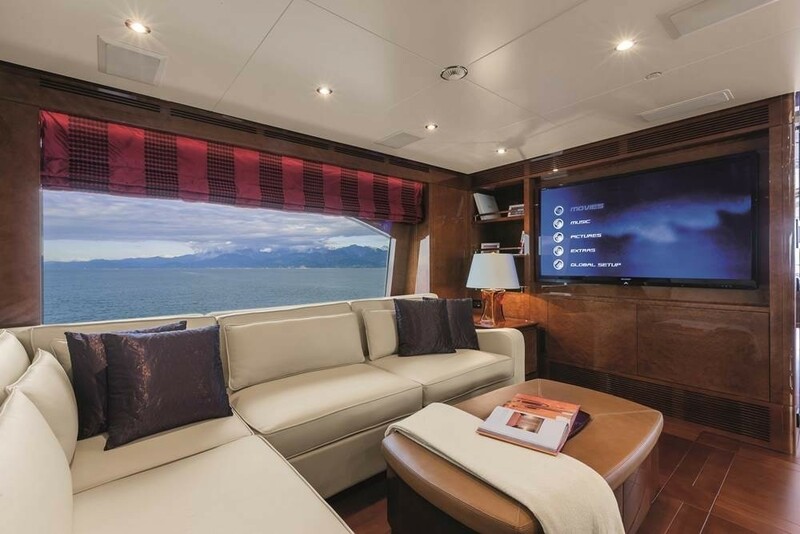 She can comfortably sleeps 10 to 12 guests in 5 ensuite cabins plus a crew of 9 professionals. 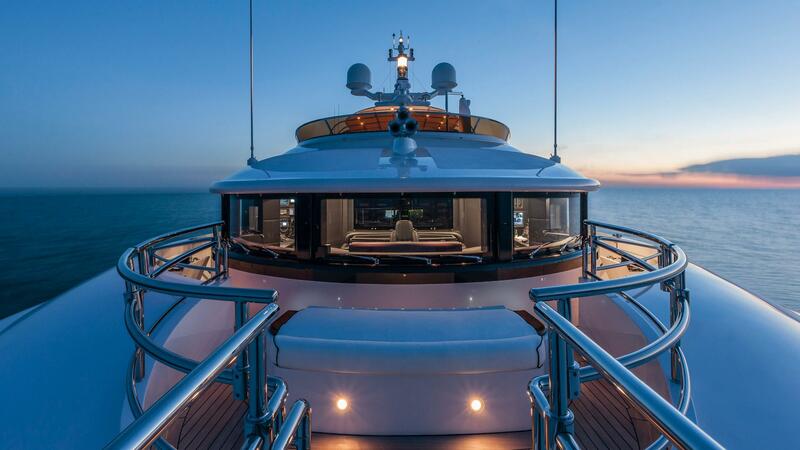 Please inquire for a full list of tenders, toys, communication equipment and audio visual facilities.